Sciblogs | Proxima b: the Earth next door? Proxima b: the Earth next door? The astronomy world is abuzz following the discovery of a planet in a neighboring star system, sitting in just the right position to – theoretically – host liquid water. It is still over four light years away, but the planet Proxima b in the Alpha Centauri system is the closest Earth-like planet we’ve found. The discovery is published today in the journal Nature. The planet has an estimated mass of at least 1.3 times that of the Earth and its orbit sits right in the ‘Goldilocks Zone‘ where the temperature is within the range where water could theoretically be liquid on its surface. Read more about the discovery of Proxima b on Scimex.org. With liquid water being one of the key components of life – as we know it – there has been understandable excitement about the discovery. “Many exoplanets have been found and many more will be found, but searching for the closest potential Earth-analogue and succeeding has been the experience of a lifetime for all of us,” said lead author Guillem Anglada-Escudé, from Queen Mary University of London. Is there life on Proxima b? 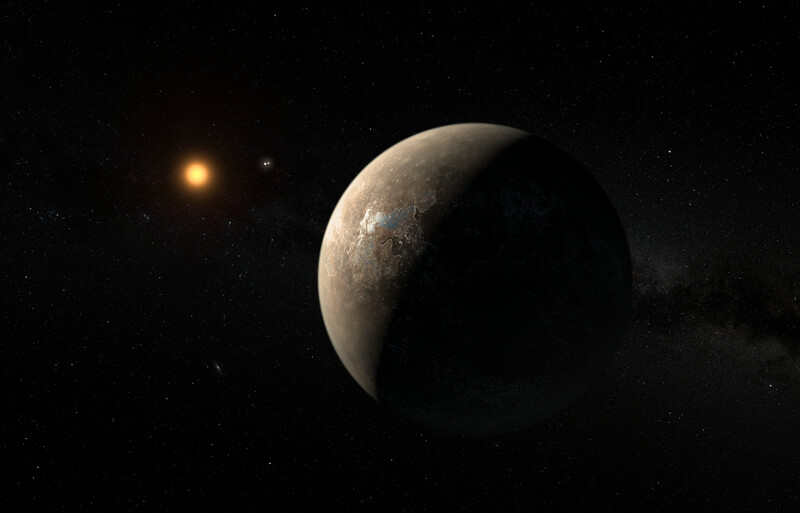 Two separate studies, which have just been submitted for publication to the Astronomy & Astrophysics journal, take what little is known about Proxima b to examine possibilities of life-supporting atmosphere and water on the planet. 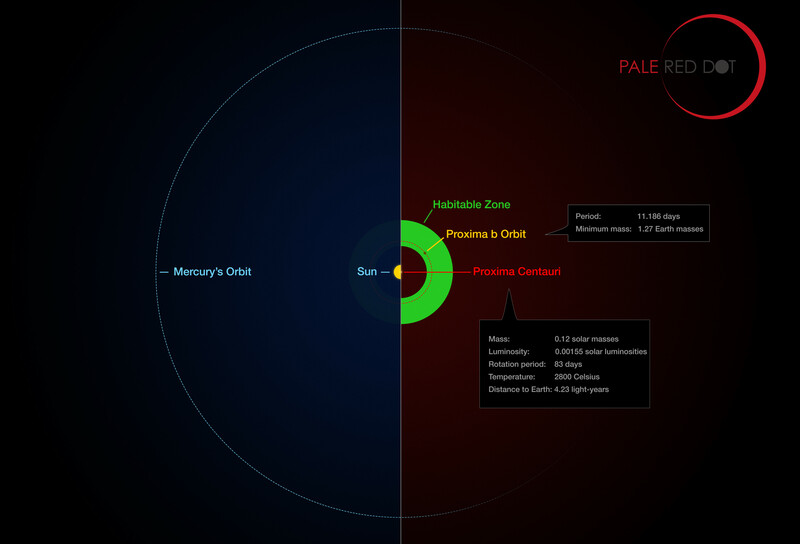 “It extends the range of planets we have seen in the universe, and marks the detection of a roughly Earth-sized planet in the ‘Goldilocks zone’ of another star — one that is close enough to its sun that it would not be frozen solid, but not so close that water would boil,” he told the Science Media Center. Dr Nicholas Rattenbury, also from the University of Auckland Physics Department, welcomed the discovery but warned that more research would be needed to confirm the exact mass of the planet. “As it stands, the planet could be even more massive than Jupiter — and correspondingly be a planet very different to Earth — we simply don’t know yet. Further observations will hopefully resolve this issue.